The issue of burning oil has been around for many years now. People often experience this problem of car burning oil in their lifetime of owning a car. The common symptom for a car burning oil is that you would see blue smoke from the exhaust. This is when your car engine oil is leaking into the combustion area causing the blue smoke. 2.2 What are the benefits of using engine additives? 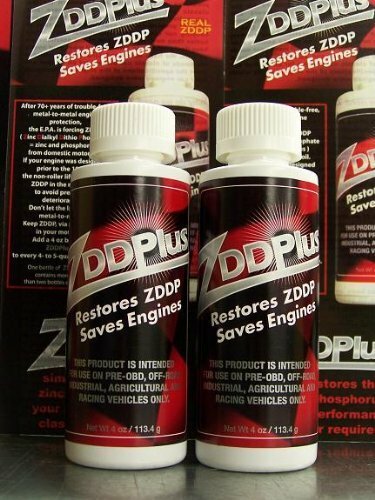 2.3 Why should you use the engine additives? 2.4 What broken engine part leads to oil burning? It is often that people would ask themselves why a car is burning oil. Well, the reason is that the oil is getting to places it is not supposed to be. The oil leaks are quite common when the parts of your car get old and worn out with time. The worn out seals and gaskets would lead to the oil getting into places such as the combustion area, thus leading to burning of oil. My car is burning oil is a common phrase around a garage, so do not be worried sick as the mechanics can easily handle the issue. – Over time, valve seals will be worn out. Whenever the valve seals are damaged, oil will flow into some parts where oil is not allowed. The consequence of this is that the oil will burn. – Air can enter the combustion chamber by the direction of the valve seals. However, when the valve guides are too large, the guides can not prevent oil entering the combustion chamber. – Sometimes you might end up having a pressurized oil pan leading to a car burning oil. The positive crankcase ventilation system sometimes can be clogged thus ending up building the pressure in the system. The pressure would now push the oil into the engine combustion area thus the issue of burning oil. – When the piston is worn, the pressure increases on the oil pan. The resulting PCV system will have more carbon. The worse is that the oil begins to penetrate the burned area. If you have identified a car burning oil problem, it is a time that you found the right methods to stop oil burning. The best part is that some methods can be easy to do at home, but some you might have to involve the hands of a professional mechanic. – Start by checking the oil. It is from using the dipstick that you would know the right level of the oil. If you drive your car around for about 500 miles, make sure that you check the oil again to see if it has gone down. If it is low, then your car is burning oil. Take steps to eliminate the leaks. – You should check the exhaust have blue smoke or not. If there is blue smoke, it means that the oil has been burned. You should start repairing the rings and seals right away to prevent oil leaks. – With the engine running rough, it could be faulty plugs or some of the valve guides are not working properly. It is time you replaced the valve guides if they are worn out. After learning about the causes of car burning oil, the next step was on how to stop my car from burning oil. A couple of methods exist today, one of my favorite was to use the oil additive to stop leaks most of the time into the combustion area. What are the benefits of using engine additives? Burning oil fix with engine additives has its own benefits you can experience. The most common would be that the method of application. The first thing you have to do is to top up the engine oil additive just how you would do with the normal engine oil. The additive would now go round the engine block fixing the leaks and rejuvenating the seals for them to work properly. Why should you use the engine additives? Engine burning oil additive products are quite common today. Most of the time whenever you experience oil leaks, the best thing would be using the engine additive. It is a simple fix that you do not have to involve any mechanic to get it done. The idea is to ensure that you buy the best engine additive that works great for your engine type. With the additive in place, you would not have to worry about the car burning oil any time soon. What broken engine part leads to oil burning? – Wear of cylinder piston group – you would end up having increased oil waste when this happens. There would also be an increased pumping of your engine oil by the scraper ring. – Worn out oil rings – the oil rings failing would end up having a high carbon formation over time. This could lead to loss of power from the engine and slow throttle response. – Cracked or broken valve seals – the result is that you would always end up burning more oil. There is also a chance of possible burnout of your valves. – A defective crankcase ventilation system – such issues lead to increased oil waste in the car, high carbon formation and decrease in the compressions in the different cylinders. There you have it, the next time you have issues such as a car burning oil, then you have the right methods to handle it. The different methods will get you fixing the oil leaks and prevent it from burning. With oil leaks, you might always end up wasting more oil, which is quite expensive. Some of these methods are easy to follow and fix your oil burning issues. PreviousBest Engine Oil Stop Leak Additive Today – What Is The Best Among The Many?